Learn From The Best. On Your Time. 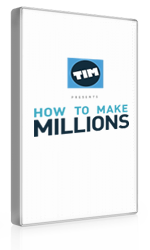 Get Unlimited Access For Life. 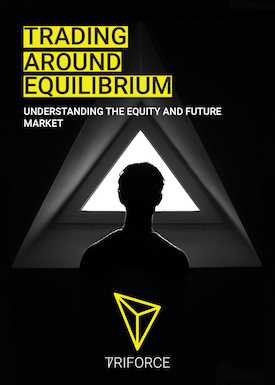 While most people assume trading stocks is something you need to be doing all hours of the market, in front of fancy monitors, and at a trading desk. But for one trader, Connor Bruggemann, he trades part time, on the go, from his iPhone as a High School student. Connor trades from school, when traveling, really anywhere with two mobile apps! 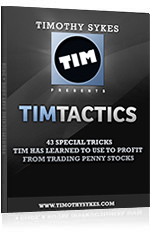 This 5-hour DVD covers everything Connor has learned about trading, his entire strategy for trading on the go, how to trade on an iPhone, classic setups, and much more. 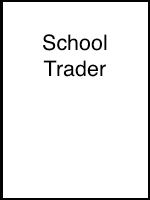 This DVD will serve as a comprehensive guide introducing you to the stock market, and teaching you everything you need to know to trade on the go, so if you have a busy schedule, work, or are in school, SchoolTrader is ideal for you. 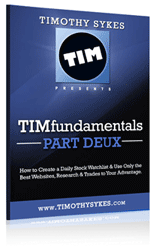 The original guide to high probability penny stock profits. 6 hours of learning material. 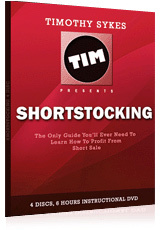 The highly anticipated sequel to pennyStocking focusing on intraday, 2007 and 2008 chart patterns. 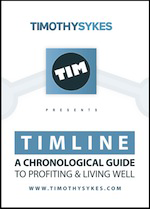 A 10-hour multi-disc DVD package that teaches you how to read and analyze all sorts of SEC filings. One of Timothy’s best students, Michael Goode chimes in for several hours with his own investigating so viewers can compare our two differing research methods. These filings have always been long, technical and boring, but we will simplify the process and make it understandable to even the biggest beginners out there. 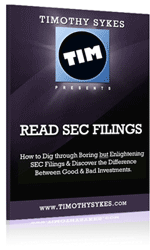 Not only great for discovering penny stock scams, learning to read SEC filings will help you better understand how to analyze companies of all sizes and their market valuations. 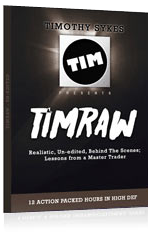 This DVD package is a must for anyone involved in the finance industry, not just traders but investors too. Footage from the 11th Annual PennyStocking Conference featuring presentations from several millionaire traders, with Q&A and live trading. 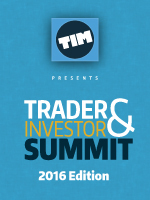 Over 16 hours of footage from the 2nd Annual Trader & Investor Summit (2016) aka the 9th Annual PennyStocking Conference featuring several millionaire daytraders, swing traders and energy and futures traders too! 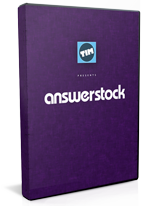 AnswerStock, 13 Hours Of Footage of the 7th Annual PennyStocking Conference featuring millionaire traders Timothy Sykes (who makes several thousand dollars during a live trade), Paul Scolardi, Tim Grittani, Michael Goode, Nathan Michaud, and six figure part-time trader Tim Bohen. 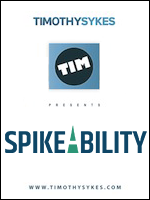 TIMdicators is a 15 1/2 hour DVD of the 6th Annual PennyStocking conference from October 2013. 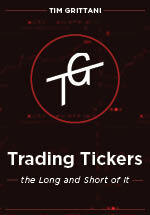 Several multi-millionaire traders passed down their time-tested trading lessons to aspiring traders. 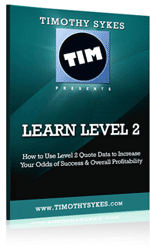 Tim Sykes unveils & outlines his 7-step trading framework during his annual Vegas conference. 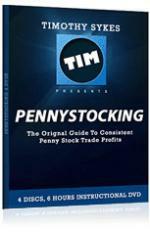 The New Rules of Penny Stocking" is an 18+ hour recording of Tim's 2010 conference in Las Vegas. 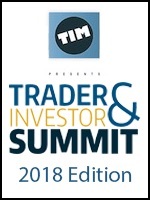 The conference hosted 13 excellent speakers, including Tim himself speaking FOR 7 hours AND a penny stock promoter exposing how pumps AND dumps operate FOR over 3 hours. 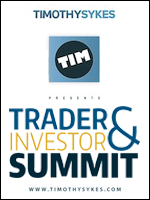 There has never been ANY stock trading conferences WITH such a wide variety of speakers, ALL of whom were willing TO SHARE their experience, lessons AND what gives them an "edge" TO reap profits YEAR IN AND YEAR out. Includes BONUS DVD Fear and Scalping in Las Vegas. 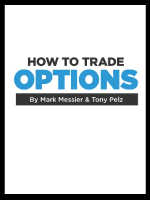 This six-disc 12-hour instructional DVD package covers all aspects of Mike Havrilla's and Mark Messier's proven biotech stock trading strategies. 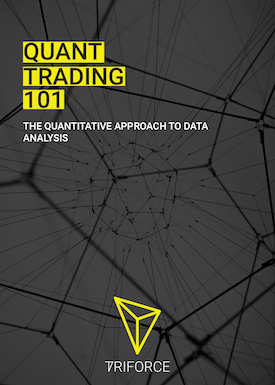 From terms, basics, lessons and patterns to research, risk management, trading tactics and even a basic primer on using options with their strategy, this guide is the ultimate tool for traders of all levels have in their arsenal to help improve their profitability and, more importantly their consistency, in this volatile and misunderstood sector. 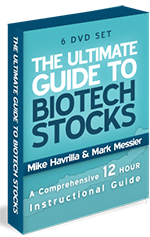 If you are a biotech trader or investor you know that the difference between success and failure can come down to the smallest of data points -- this DVD package aims to cover all data points to make you more more savvy and profitable.